Coldwell Banker’s list of the nine neighborhoods with the most million-dollar listings includes two Miami-Dade neighborhoods. At No. 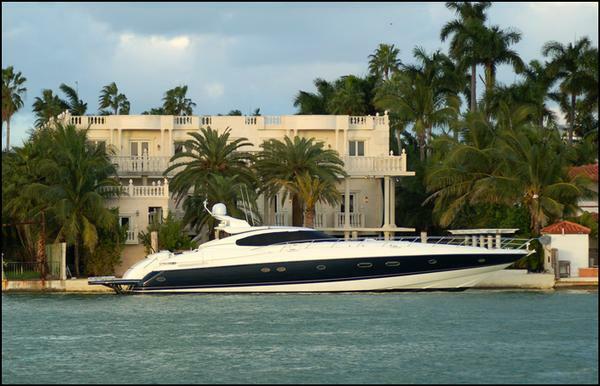 5 is Miami Beach (33139), which has 507 homes on the market priced at $1 million or more. One-fifth of those are priced at more than $5 million. More than 30 are going for more than $10 million, and seven homes sold last year in that range. At No. 6 is 33160, which Coldwell Banker identifies broadly as North Miami Beach, but which is actually based on luxury listing activity in Aventura, Sunny Isles Beach and Golden Beach, said real estate experts who examined the list and data. Beth Butler, president of One Sotheby’s International Realty, which reviewed the list for the Business Journal, said the ZIP code includes all of the Trump Tower projects and other high-end condo product like Jade Ocean that command that kind of pricing. North Miami Beach has 498 homes for sale priced at $1 million or more, according to the list. “In the last few years, we have had the most $1 million-plus sales in Sunny Isles and Aventura,” Butler said. Peter Zalewski of Condo Vultures said there are currently 32 homes, condo units and townhomes for resale in North Miami/North Miami Beach that are priced at $1 million and up. North Miami does have high-priced neighborhoods on its east side. Ron Shuffield, president and CEO of residential brokerage Esslinger Wooten Maxwell Realtors, said there are currently 1,946 residences listed at more than $1 million in Miami-Dade County. More than 900 are single-family homes and more than 1,000 are condominiums. He said that, in 2008, the local market shifted toward having more high-end condominiums than high-priced single-family homes because of the high volume of luxury condos built during the boom of the last cycle. There is an average of 51 sales involving single-family homes priced at more than $1 million, and an average of 79 similarly priced condos sold every month in Miami-Dade. At the top of the Coldwell Banker list is Paradise Valley, Ariz., a small, affluent town in Maricopa County. Miami-Dade ZIP Codes Have Top Million-Dollar Home Listings, 27 September 2012, By Oscar Pedro Musibay, Retrieved from http://www.bizjournals.com/southflorida/news/2012/09/27/two-miami-dade-zip-codes-have-top-1m.html .